The Parkinson’s Flower is the Cornflower. They are easy to grow wild flowers and will give your garden the most wonderful blue flowers in the summer. It’s the perfect time now to start sowing too. 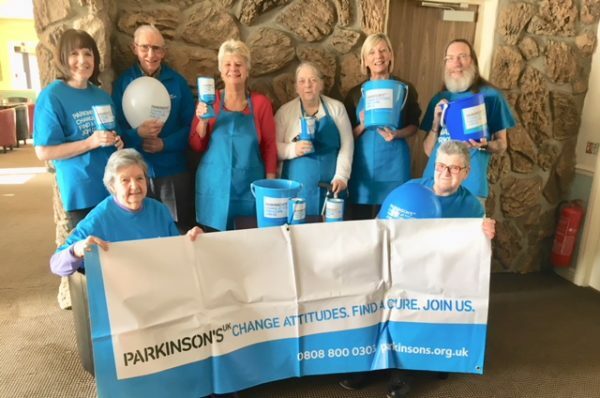 Can you create a cornflower collage, drawing or painting with Parkinson’s in mind? Find out more about Parkinson’s here. Once you’ve captured the vibrant blue of the cornflower, look out for Parkinson’s blue around you. How many awareness raising things do you come across in your area this week? Such things often go by unnoticed, despite all the effort involved. Share your lovely Parkinson’s cornflowers with us and Parkinson’s UK (Facebook &Twitter). Also try share with as many friends, family, strangers as possible to raise awareness this week. Tag #UniteForParkinsons & #64MillionArtists and share your challenge on Twitter, Facebook and Instagram.